Airbus Defence and Space will deliver five of its newest SPEXER 2000 Coastal radars to Malaysia in order to monitor coastlines and prevent illicit intrusions. Under the multimillion Euro contract deliveries will be completed in 2016. 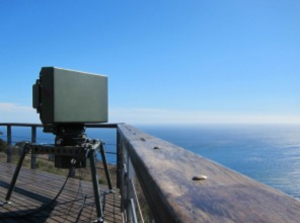 “SPEXER 2000 Coastal is the worldwide first security radar using the latest radar technology of Active Electronically Scanning Array (AESA). Its capability to detect even smallest targets in difficult littoral environments ensures a very high level of situational awareness providing security forces with additional reaction time”, explained Thomas Müller, Head of Electronics and Border Security at Airbus Defence and Space. SPEXER 2000 Coastal is optimized for the surveillance of coastal areas and maritime infrastructure such as harbours and oil fields. With an instrumented range of 133 NM (247 km), its high doppler and velocity resolution as well as its high sea clutter suppression, it is able to detect and track even very small and slowly moving objects such as swimmers and rubber dinghies, but also fast objects such as speed boats. The Command & Control system will be provided by Signalis/Bremen. Due to a unique signal processing architecture, SPEXER 2000 Coastal reliably detects sea, land and air targets alike. Hence, one SPEXER 2000 Coastal radar can replace two or more conventional radars that would be necessary for a simultaneous land and sea surveillance. The radar has a compact all-in-one design allowing also the integration into surveillance vehicles or the rapid deployment on a tripod for an on-demand surveillance of alternating areas of interest. Furthermore, a camera can be cued to the radar in order to identify suspicious objects. Combined with its high availability and no scheduled maintenance, this ensures a superior performance without any surveillance gaps. SPEXER 2000 Coastal is part of Airbus Defence and Space’s SPEXER security radar family which consists of several sensors, each optimized for specific applications in the fields of border, infrastructure, perimeter and coastal surveillance. A specific version for border surveillance, SPEXER 2000, is deployed in a huge border surveillance system in the Middle East; a military version has been developed for the German Army.